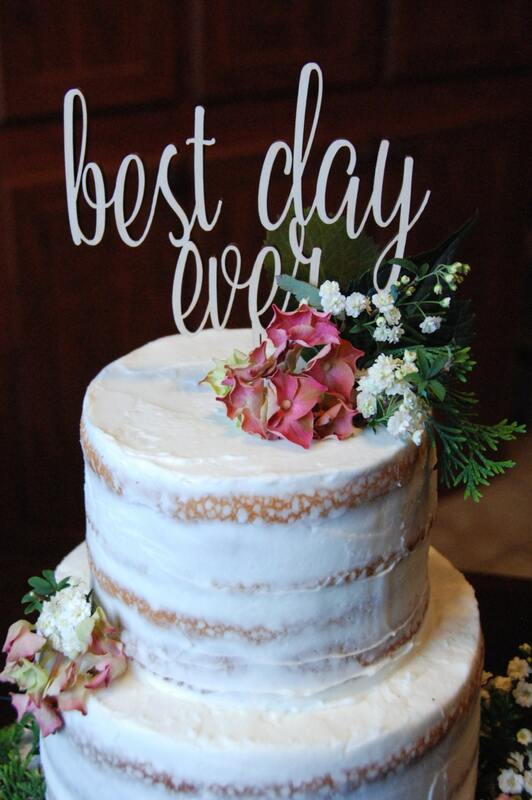 This unique topper is the perfect way to finish off a beautiful cake as you celebrate the "best day ever". 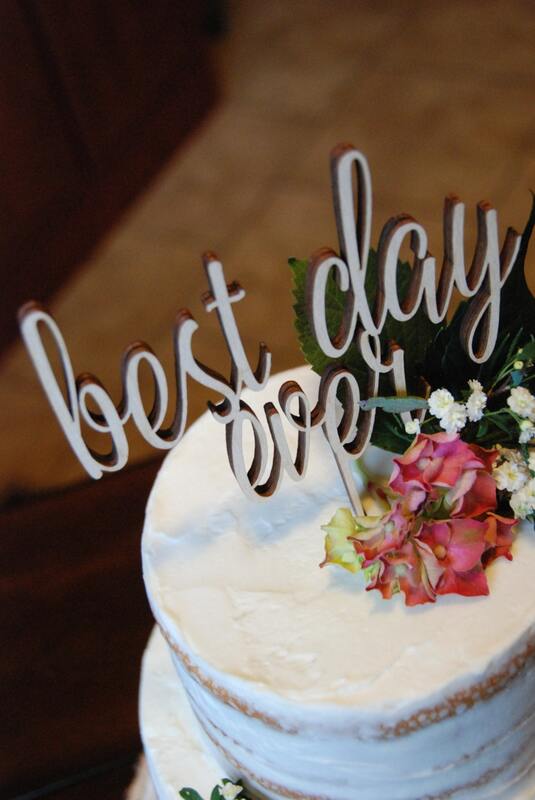 The fun, script wording is connected to a spike that inserts into the cake, allowing you to position the piece perfectly on top of the cake. Amazing quality! This will look great on our wedding cake. 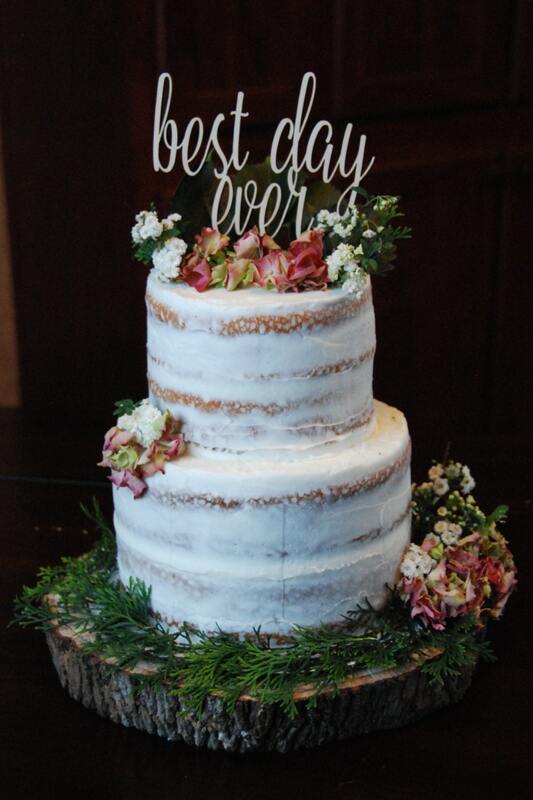 Looked great on our cake!